Futurewise, along with our partner Concerned Friends of Ferry County, have decided to appeal Ferry County’s agricultural land designations to the Appeals Court, in hopes of bringing Ferry County into compliance with Growth Management Act (GMA) regulations for maintaining and enhancing agricultural lands. This appeal to the Court of Appeals is the culmination of more than a decade and a half of work from Futurewise and our local partner the Concerned Friends of Ferry County to get the county to appropriately designate agricultural lands of long-term commercial significance. Despite having a growing ranching and farming industry, Ferry County protects just 3,345 acres of land for agricultural uses. This 3,345 acres is just 0.4% of the 792,250 acres of land in farms in Ferry County. These tiny percentages of the county’s farm and ranch land will not “[m]aintain and enhance natural resource-based industries, including productive timber, agricultural, and fisheries industries” as Growth Management Act Goal 8 requires. Futurewise believes this designation is insufficient to maintain and enhance Ferry County’s agricultural industries or provide a critical mass of farmland. What’s more, Ferry County has zoned all the farm and ranch land not designated as agricultural lands of long-term commercial significance for 2.5-acre lots. Ferry County’s population is growing slowly, but most of its residential growth is occurring in the unincorporated part of the county. So, without action from Futurewise and the courts, sprawl will slowly eat up farmland. Unfortunately, previous rulings by the Growth Management Act Hearings Board and the Superior Court rested on the opinion that Ferry County only had to designate sufficient land to overwinter cattle that graze on the federal forest land. (The county had surveyed the ranchers that graze their cattle on the federal forest land and designated enough land to grow hay to sustain the cattle over the winter.) The outcome of the appeal will depend on whether the court thinks just designating enough land for the cattle grazed on federal land is enough or whether the larger countywide industry must be maintained and enhanced. The goal of our appeal to the Court of Appeals is two-fold: to bring Ferry County into GMA compliance and to set a legal precedent for other counties across Washington that has the potential to protect many thousands of acres of agricultural lands. We expect to have a decision from the Court of Appeals by the end of 2019. County planning processes can be inaccessible and opaque, yet the resulting plans impact thousands of residents. In 2015, Skyway Solutions, a local community group, released the Skyway-West Hill Action Plan (SWAP), the culmination of 16 months of outreach to engage the community on issues like connected neighborhoods, smart and sustainable growth, engaging youth, and economic development. Since the release of the SWAP, the King County Council revised the scope and timelines for the subarea plan process. Notably, subarea plans are now limited in scope to the land use element (compared to a comprehensive plan which includes transit, environment, economic development and other elements). The new subarea plan process provides for about a year of planning followed by another year for the King County Council to review and approve the plan. Currently, Skyway-West Hill is in the middle of the planning process. A first public meeting was held in fall 2018. Planners will present a draft plan to the public at a second public meeting in the first half of 2019, with a plan to submit a plan to the King County Council in June 2019. Futurewise is partnering with Skyway Solutions to educate a youth cohort about how the subarea planning process and resulting land use decisions impact their community. 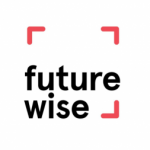 Futurewise is working with 25 participants, ages 14-25, for the next eight months. We’ll start with youth-led interviews to investigate the experience of living in Skyway. Topics raised by the interviews and participant input will guide the content the group explores in future sessions — from education to housing to land use planning, all through the lens of the unincorporated Skyway community. The youth will have the opportunity to interact with their state and local governments, including King County’s current subarea planning process, to learn about different channels to address different aspects of their community. It’s January, which means that our State Policy Director, Bryce Yadon, has started his yearly migration down to Olympia to advocate for smart, equitable growth management policy in the state legislature. With large Democratic majorities in both chambers, we’re optimistic about what 2019 could hold for affordable housing, transit and more. We’ll be posting regular updates about our legislative work on our blog and to our email list, so sign up to stay in the loop. Highlights from the week of January 21st include our need to stand up to a host of poorly conceived GMA bills — bills that would consider private prisons essential public facilities; allow “alternative” science (rather than the science developed by the Department of Ecology) to be considered when defining critical areas such as wetlands; and even a bill that would prevent anyone other than landowners from challenging comprehensive plans. This latter effort is the ultimate anti-Futurewise bill — thank goodness we’re still in a position to oppose it! United States Department of Agriculture National Agricultural Statistics Service Northwest Regional Field Office, 2015 Washington Annual Statistical Bulletin pp. 44 – 45 (October 2015).